Samsung is on a roll, with the Korean company expanding its Galaxy A lineup. 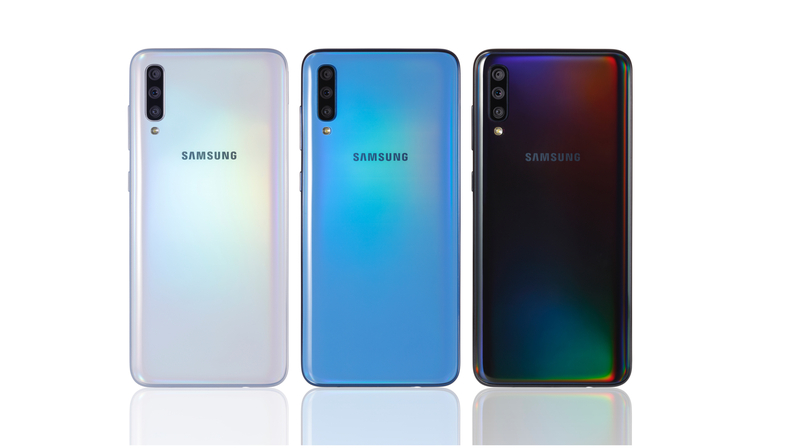 The company unveiled the Galaxy A10, Galaxy A30 and Galaxy A50 in February. Amidst positive reviews, Samsung’s new devices were looking to create a dent in the entry-to-mid level smartphone segment. 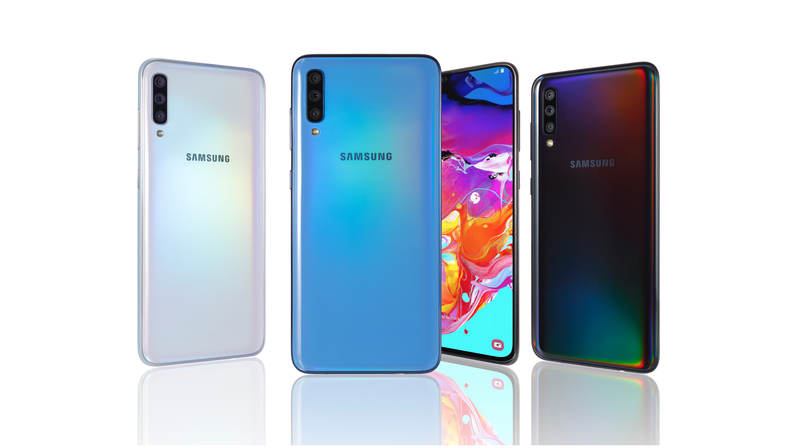 The company has now expanded its lineup by launching the Galaxy A70 in India. The device features a slew of innovative features and a modern design. 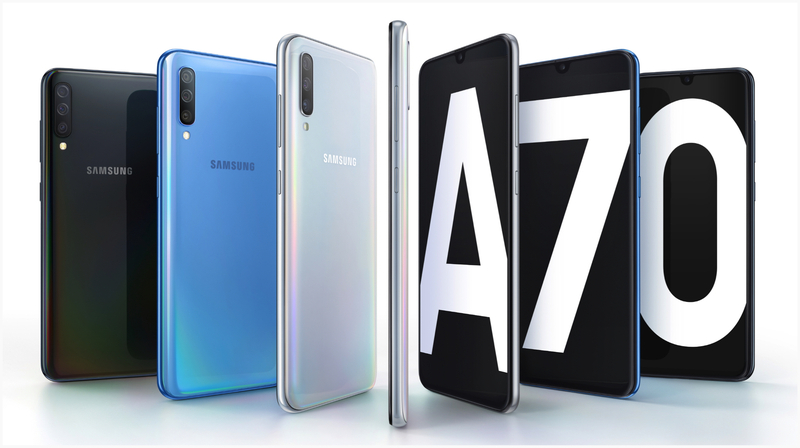 The Samsung Galaxy A70 is the elder sibling to the Galaxy A50. It features a similar design to the latter with a ‘3D Glasstic’ gradient at the back. The front of the handset is dominated by a massive 6.7 inch Super AMOLED display that has a resolution of 2400 x 1080 px. The device has ultra-narrow bezels all around the display and an Infinity-U style notch on the top. For biometrics and security, the smartphone features an in-display fingerprint scanner and supports face unlock technology. The Samsung Galaxy A70 runs on the 11nm Snapdragon 675 SoC which is also featured on the Redmi Note 7 Pro. The chipset consists of an Octa-core CPU and the Adreno 612 GPU for graphics. For optics, the smartphone has a triple rear camera setup consisting of a 32MP sensor with an f/1.7 aperture; combined with an 8MP ultra-wide angle sensor with an aperture of f/2.2 and a 5MP f/2.2 depth sensor. For selfies, it has an f/2.0 aperture equipped 32MP camera which is housed in the Infinity-U notch on top of the display. In terms of memory and storage, the device will be available with 6GB of RAM and 128GB of internal storage. The Galaxy A70 is powered by a large 4500 mAh battery with support for 25W fast charging via the bottom mounted USB Type-C port. It also has a dedicated microSD card slot for memory expansion up to 512GB. 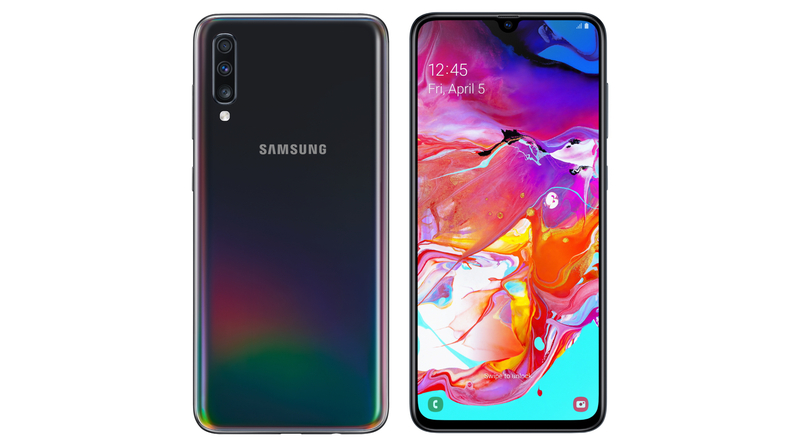 The smartphone runs on Samsung’s OneUI which is built on top of the latest Android 9 Pie. It is offered in three colours, namely Black, Blue and White. The Galaxy A70 has been launched in India at a price of Rs. 28,990. The smartphone will be available for pre-bookings between April 20 and April 30. It will be sold via major offline stores and online via Flipkart, Samsung’s online store. Initial buyers will also get an option to buy the Samsung U Flex wireless earphones at a discounted price of Rs 999 down from Rs. 3,799.